DA submit a proposal for the Sterling OSB Competition 2018. Judges will be looking for schemes which showcase the innovate use of SterlingOSB to create a transformable private workspace, which emulates the figure in Antonello da Messina’s 1475 painting of St Jerome in his Study. 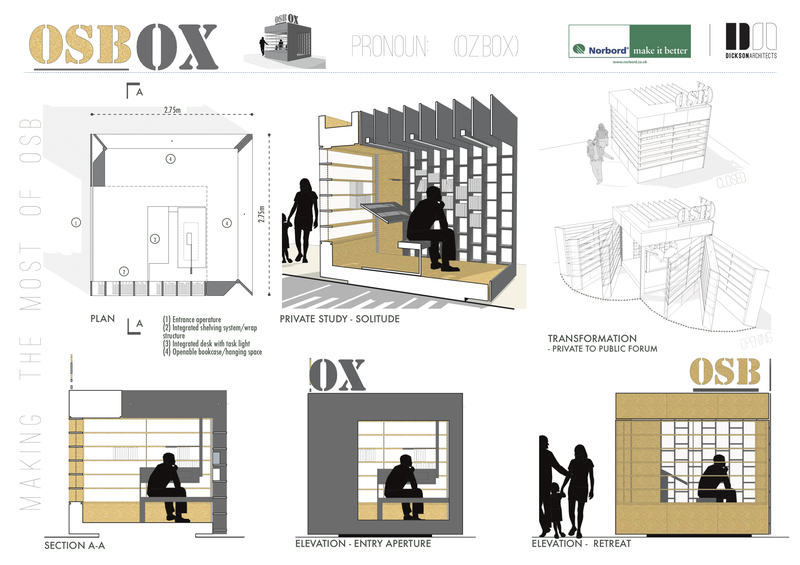 Our submission titled OSBox, is a cubed formation which when closed, provides an intimate walled library space. OSBox comprises a corner arch structure formed in a lightweight aluminium frame clad in OSB board, with two hinged bookshelf walls below. Slender vertical OSB fins form the opposite corner wrapping up to provide a pergola style ceiling. Opening up the two bookcase walls transforms it into a stage for exhibition or use as a small public library/classroom. 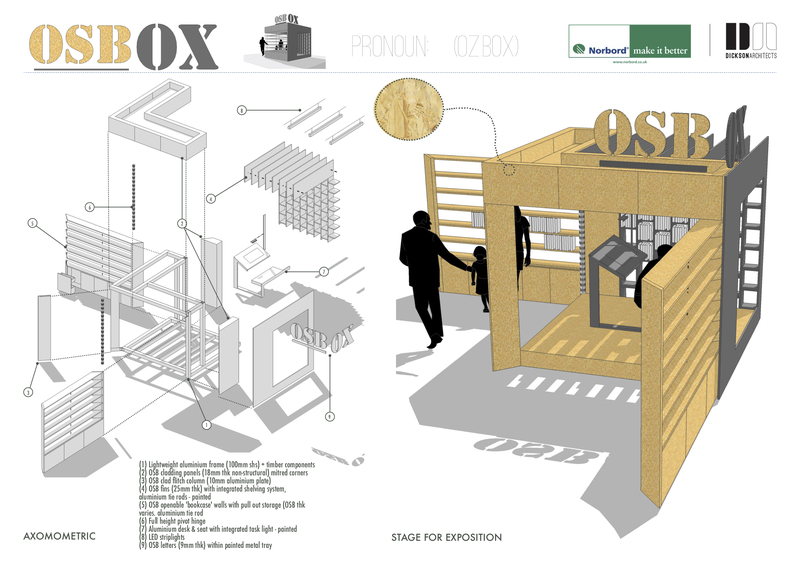 Suitable for Installation in any public building, OSBox is a room in a room, a writer’s retreat and above all else a flexible public space, illustrating the innovative use of one material in several forms.